Last week, HTC’s US president mentioned that the Android 4.3 update for the One would be live this morning on October 21. Thankfully, to all T-Mo One owners’ relief, he wasn’t lying. According to the emails we have received so far, the update appears to be rolling out strongly. 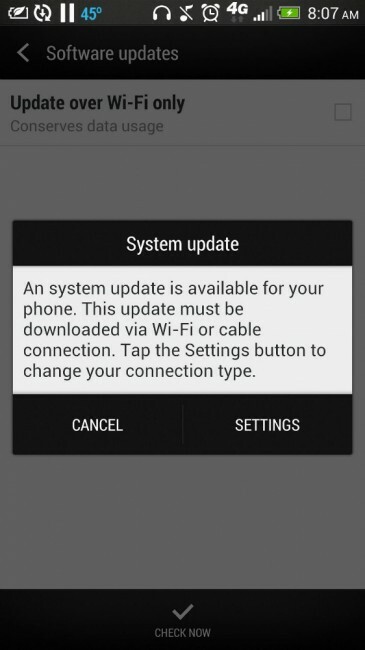 To get a good idea as to what is in this update, you can expect it to be a lot like AT&T’s. There are some enhancements for BlinkFeed such as the addition of Instagram, HTC Zoe updates, and a ton more. You can see the full changelog for the AT&T variant on this post. If your device still has yet to receive it, be patient – it’s coming. Cheers @RedmanFL, Rhonda, @Chaz_K, and Jason!